Klau PPK Georeferencing System for accurate UAV surveying offers pre-calibrated DJI cameras which are essential to achieving reliable results in your photogrammetry. Accurate photogrammetry starts at the lens. If you intend to map a project and put every square centimetre in it’s right place, in XY&Z, you need to know the every pixel in every photo is it’s right place. Commerical Off The Shelf DSLR cameras may have great specs if you’re a media photographer, but for measurement you need to know that there are minimal distortions in the lens. Errors in the lens focal length effectively zoom the terrain up and down in your photogrammetry products. Distortions push pixels out of place, introducing additional processing complexity and errors. A calibrated lens with minimal distortion is the key to accurate 3D mapping. Sophisticated DSLR cameras have a lot of internal moving parts. A dedicated aerial camera has no moving parts, so you can calibrate the camera and it remains calibrated for the entire project and from project to project. Aerial cameras by Phase One or Hasselblad and the DJI X4s are built with no moving parts. We can also modify and calibrate your DSLR. If you can choose a camera/lens with a mechanical or leaf shutter you achieve much better photogrammetry results from your UAV. A leaf shutter exposes every pixel at the same instant. A rolling shutter, common in many small cameras, scans the pixels in, which when combined with aircraft movement introduces rolling shutter effect, distorting the photos. Megapixel count is one thing, it is important as it relates directly to the GSD and footprint you capture on each photo. The size of the sensor is equally important and a larger sensor will capture more data, more colour depth, more detail in each pixel. The Klau PPK Georeferencing System for accurate UAV surveying offers pre-calibrated DJI X4s cameras or a simple, effective methodology to calibrate other cameras. Unlike high-end (expensive) aerial cameras, a typical camera in a UAV does not have the measurement quality characteristics of aerial cameras, it is “non-metric”, has lens distortions, is not calibrated and has moving parts that can affect calibration. Managing these errors with a simple calibration will put every pixel in it’s accurate position which translates to an accurate mapping product that can be used for measurement. 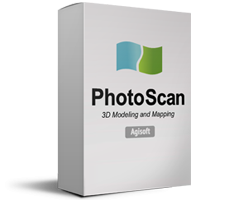 We will supply a calibration file with your X4s camera to go straight into your photogrammetry software. With other cameras, by following the Klau Geomatics methodology, you can use your UAV to capture some calibration points which are managed in our software.